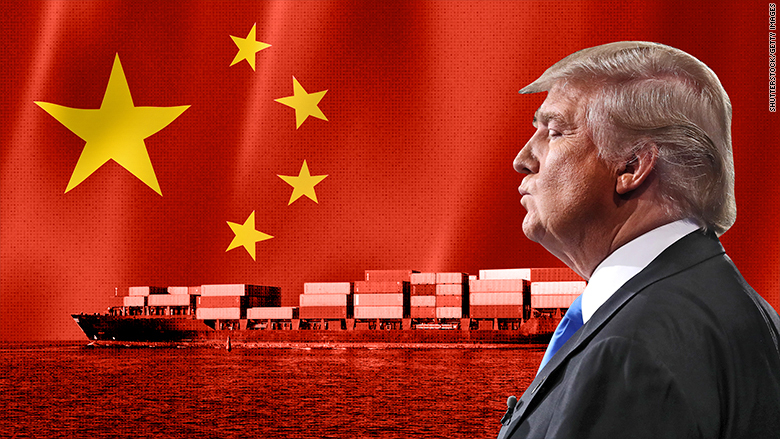 Trump Just Put China On Notice – YOU’RE NEXT. It was a mastery of trade negotiation not seen by an administration in generations, and yet another promise made and another promise kept by President Trump. First was Mexico then came Canada. And with the EU increasingly desperate to concede to the president’s demands for truly open and honest trade with, and for, the United States, Donald Trump is turning his attention fully back onto China and putting the world’s single greatest trade manipulator on notice that it too will bend the knee and concede to President Trump’s ‘America First’ agenda. The benefit to the U.S. worker is considerable as President Trump continues to hammer away at those nations that have long enjoyed lopsided trade agreements that cost American jobs. It should also be noted that the president is helping to improve conditions for workers in places like Mexico as well. This is easily verified by aspects of the new trade deal between the two countries that requires higher salaries for workers in Mexico. In short, Mr. Trump is not only improving the plight of workers here at home but working hard and with astonishing success, to improve the plight of working men and women all across the globe. Will China soon follow the lead of Mexico, Canada, and the European Union? If so it won’t likely be within days or even weeks, but more and more economic experts believe it will happen either at the end of 2018 or the beginning of 2019 and if and when a new trade agreement with China is finally reached, the boon to American workers will be remarkable. It is in stark contrast to the Obama years when working conditions both in the United States and third world nations suffered greatly while Wall Street millionaires and billionaires and criminal despots, reaped their personal rewards for cheap labor and diminished human rights. For Barack Obama, the interests of corporations who glorified him always came first. President Trump, despite the ongoing slander campaign against him in the Mainstream Media, has always, and continues, to put the needs of regular people first. Let us hope for all our sakes that voters reward the Trump administration in November of 2018 with a Congress that will more fully support the Trump agenda because it is now undeniably clear how that agenda is working for everyone. Ben Garrison nails the reality of what President Trump has accomplished regarding a truly America-first trade deal with Mexico. Mr. Trump approached those negotiations with a critical and unwavering truth – they need us more than we need them. It is an outlook his presidential predecessor never chose to negotiate from which in the end cost U.S. workers dearly.